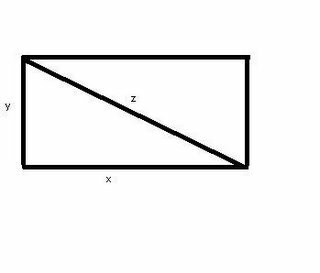 The sides of this rectangle increase in such a way that dz/dt=1 and dx/dt=3dy/dt. At the instant when x=4 and y=3, what is the value of dx/dt? then we find the derivative of that relationship. 2z dz/dt=2x dx/dt + 2y dy/dt. The two are reduces z dz/dt= x dx/dt + y dy/dt. 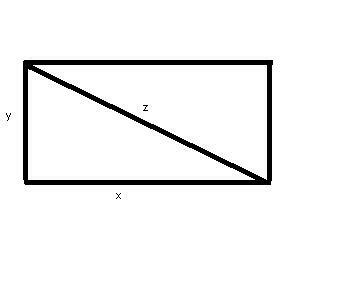 By the pythagorean theorem we found that z=5. So after that we just plug in the values. Since dx/dt= 3 dy/dt we got the value of dx/dt= 1.